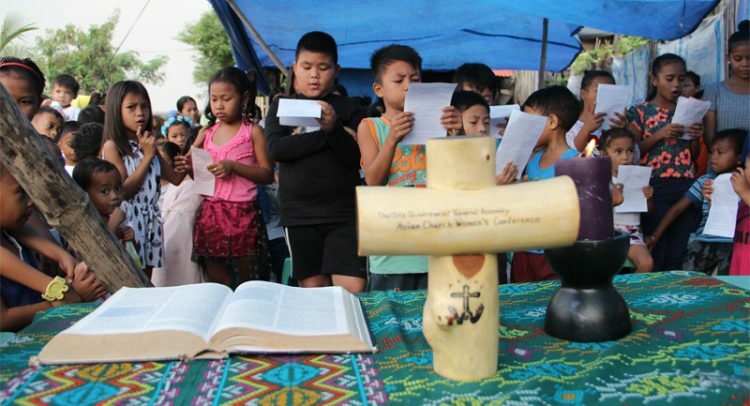 The United Church of Christ in the Philippines (UCCP) deplores to the highest level the approval of House Bill 8858 to lower the Minimum Age of Criminal Responsibility (MACR). Lowering the minimum age of criminal responsibility (MACR) is not the solution. This House Bill will only mostly endanger children in conflict with the law coming from poor families. As a Church, we are guided by the inspiration of the Scriptures that require us to guard the little ones from any harm or maltreatment: “See that you do not despise one of these little ones. For I tell you that in heaven their angels always see the face of my Father who is in heaven”(Matthew 18: 10, ESV). Scientific research shows that “children and adolescents differ significantly from adults in decision-making, propensity to engage in risky behavior, impulse control, identity development, and overall maturity” (Psychological Association of the Philippines, 2016, as quoted in the petition “No to lowering the minimum age of criminal responsibility in the Philippines”, submitted to Senate President Sotto by the Child Rights Network and Philippine Action for Youth Offenders). As such, children should not be bound to the same standards as adults. What the government needs to do is to fully and effectively implement the Juvenile Justice and Welfare Act of 2006, which already provides guidelines on how children in conflict with the law should be held accountable. They are placed in a youth care facility to undergo intensive intervention programs supervised by a multi-disciplinary team. Pushing for an absurd law such as this only goes to show the government’s shameful failure to provide a healthy and favorable environment for the Filipino children, especially the poor ones. HB 8858 is unashamedly anti-poor, anti-child, and unchristian. We cannot allow this law to be passed unrestrained. The Bible so clearly directs us to “Take no part in the unfruitful works of darkness, but instead expose them.” (Ephesians 5: 11, ESV). Keeping our mouths bolted is essentially taking part in this unfruitful work of darkness. Penalize instead the crime syndicates that exploit children, not the children who need to be saved, supported, and reformed. Fully and effectively enforce the law towards protecting, supporting and assisting both children who commit crimes and their victims. Instead of pushing for the lowering of the MACR, support the initiatives and programs of local government units in providing prevention, intervention, and diversion programs for children. We also implore our constituents to join hands with us in exposing the infirmities of this ridiculous piece of legislation that would only bring harm to the poor children of the land. We further call on our local churches to take seriously to heart our Christian Education ministry to discourage children from committing crimes of any sort; and engage in community ministries undertakings that cater to children with great emphasis on children’s rights and protection. We also entreat our church-related educational institutions to consider providing scholarship support and assistance to poor and underprivileged children. WE STRONGLY REJECT HB 8858 IN THE INTEREST AND PROTECTION OF THE LITTLE ONES! Bishop Hilario M. Gomez, Jr.